Can new CEO keep Apple on top? When Steve Jobs' returned to Apple Inc. in 1997, the company has raced to the top of the music industry, turned the mobility space upside down with the immense popularity of the iPad and iPhone.Now, that Jobs is no longer leading Apple the new CEO will have to prove it can keep its momentum. Apple said that Jobs, 56, resigned from the CEO post, in a move that seems motivated by his ongoing, yet still unspecified health issues. Jobs had taken an indefinite medical leave of absence in January, marking his third such leave in seven years. Jobs, who co-founded Apple in 1976, previously survived pancreatic cancer and received a liver transplant. In his resignation letter, Jobs said "I have always said if there ever came a day when I could no longer meet my duties and expectations as Apple’s CEO, I would be the first to let you know. Unfortunately, that day has come. I hereby resign as CEO of Apple. I would like to serve, if the Board sees fit, as Chairman of the Board, director and Apple employee. 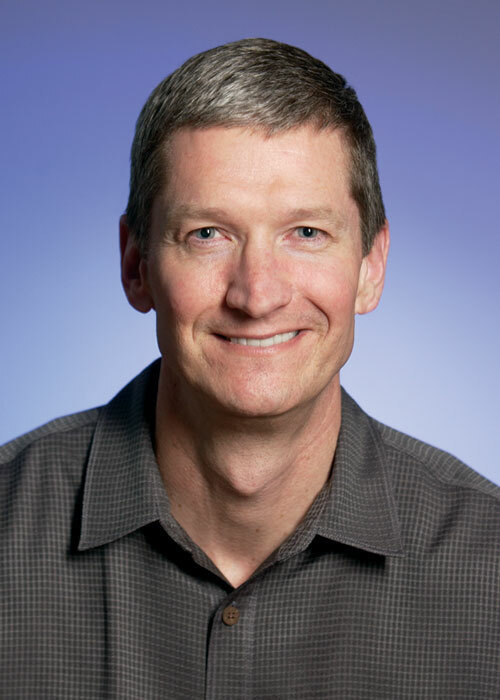 As far as my successor goes, I strongly recommend that we execute our succession plan and name Tim Cook as CEO of Apple. I believe Apple’s brightest and most innovative days are ahead of it. And I look forward to watching and contributing to its success in a new role. I have made some of the best friends of my life at Apple, and I thank you all for the many years of being able to work alongside you." Taking on the role of board chairman, Jobs now passes the CEO role Tim Cook, 50, the company's chief operating officer. Cook had been acting CEO since January. For years, he has been running Apple's day-to-day operations, and has long been seen as the natural successor. He also served as Apple's leader for two months in 2004 while Jobs battled cancer, and again for five months in 2009 when Jobs received a liver transplant. The company has thrived under Cook's leadership, briefly becoming the most valuable company in America earlier this month. Some even compared Apple's worth against the US treasury. Cook is not nearly as recognizable as Jobs and will have to create his own persona. Jobs became the very public face of Apple, dressed in his signature blue jeans, black turtleneck and wire rimmed glasses constantly presenting the company's new iPhones, iPads, iPods at immensely popular and anticipated media events. Though Jobs has looked increasingly frail, he emerged from his leave twice this year to tout products at such events: Jobs unveiled the second version of Apple's iPad tablet computer in March. Then, in June, he resurfaced to show off Apple's iCloud music synching service. But while Jobs is the most recognized person at Apple, he is not the only one responsible for the company's success. Many industry watchers believe that despite his importance, Apple will continue to innovate and not just survive, but thrive. Well respected research analyst Shannon Cross says "Steve Jobs put in place at Apple a culture of innovation." And its innovation has translated to sales. With Cook running the company, Apple sold 9.25 million iPads during the most recent quarter, which ended in June, bringing sales to nearly 29 million iPads since they first began selling in April 2010. Apple also sold 20.3 million iPhones in the same period, which was millions more than analysts expected. The company's stock has risen 8 percent since Jobs announced his most recent medical leave. Cook's track record at Apple is strong. The first time he was in charge back in 2004, things went so well that Apple promoted him from executive vice president to chief operating officer in 2005. During the second time, which lasted from mid-January to the end of June 2009, Apple released a new version of the iPhone and updated laptop computers on schedule. The company also announced that its iTunes app store hit a major milestone: More than one billion apps were downloaded within the first nine months of its existence. Apple's stock rose 62 percent during that time, satisfying investors' concerns over Jobs' absence. Cook, an Alabaman with short, gray hair and a broad, thin-lipped smile, has been an asset to Apple since his arrival in 1998. He is credited with tuning Apple's manufacturing process to solve chronic product delays and supply problems. His inventory management skills helped Apple build up its $72.6 billion hoard of cash and marketable securities -- funds that it can use to keep its lead in the portable electronics market. Like IBM, McDonald's or Ford, all of which lost visionary CEOs, Apple is not necessarily dependent on the immortality of the genius behind it, says Terry Connelly, dean of the Ageno School of Business at Golden Gate University in San Francisco. "A company is dependent on its ability to institutionalize that genius in the corporate DNA," he says. "Apple shows every sign of having done that. We will see that when we see how Cook responds to competitive pressure." And, as Cross points out, Cook won't be leading Apple alone. His supporting team includes Jonathan Ive, who oversees the elegant, minimalist design of Apple's products; Ron Johnson, who runs Apple's stores; Philip Schiller, the marketing chief; and Scott Forstall, who supervises the iPhone software. "The bench at Apple is extremely strong," Cross says. "He has a good group of executives behind him." And consumers -- the group Apple really depends on to make its products popular -- may not be that affected by the change. Apple customers don't buy the company's products because of Steve Jobs, Gartner Research analyst Michael Gartenberg says, "people buy Apple products because they're Apple products". Without Jobs, Michael believes the company's challenge will be the same as it was with him: continuing to find ways to raise the bar with its consumer electronics. So the question is what will happen when Cook takes over the Apple kitchen?